Umar Gul's 11-wicket haul paved the way for Habib Bank's innings-and-60-run win over Port Qasim Authority in Sialkot. Having chosen to bat, Port Qasim were routed for 65 in the first innings as Gul and Ehsan Adil bowled in tandem to pick up five wickets each. Gul finished with figures of 5 for 12 in 10 overs, while Adil took 5 for 48. A century from Shan Masood and a fifty from Aftab Alam helped Habib Bank reach 288, though they lost quick wickets towards the end to pacer Sohail Khan, who finished with figures of 4 for 72. Port Qasim fared marginally better in their second innings, but still fell short of clearing the 223-run deficit. 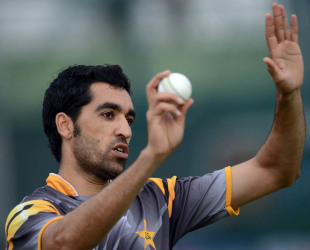 Gul dismantled the top and middle order, dismissing five of the top six batsmen. Mohammad Waqas, who had retired hurt on the second evening, scored a stubborn fifty, but couldn't stop Port Qasim from hurtling towards a defeat. The last-wicket stand between Mohammad Sami and Sohail Khan resisted, adding 34 runs before Sohail was dismissed with the score at 163. United Bank Limited won their second match with a combined bowling effort from Tariq Haroon and Atif Maqbool who helped them move above Zarai Taraqiati Bank Limited with a six-wicket win in Islamabad. Even though UBL conceded a two-run lead in the first innings, Haroon and Maqbool routed ZTBL for 136 in the second innings to put them in command. ZTBL scored 235 in the first innings with a hundred from Yasir Hameed (108) even though the middle- and lower-order didn't score much. UBL were restricted to 233 by a nine-wicket haul from Imran Khan, his best first-class figures, as Saeed Bin Nasir top-scored with 97. Fiery spells from Haroon and Maqbool meant UBL had to chase 139, which they did with the help of Bismillah Khan (52) and Ali Asad (49*).